Happy New Year! May all your running ambitions come to pass in 2014. I got 2014 off to a good start with a solid 58 mile week which included a hilly 17 mile run (8.30 min/mile) on New Year’s Eve on the roads around Otley, Guiseley, Menston and Horsforth; a run commute to work on Thursday with an extended run home of 10 miles, making 15.5 for the day and then 13 miles (7.28 min/mile) around Fewston and Swinsty reservoirs on Sunday morning with some pals from the running club. We had originally planned a 15 mile run on Sunday, but a couple of the group were struggling with injuries and the after-effects of the Yorkshire Cross Country Championships the day before, so we cut the run down to two full laps of the reservoirs. It was a great day to be out running, cold and fresh with no wind and a low winter sun. We got going early so we avoided the invasion of the dog walkers that happens there most Sundays. just a brilliant way to start the day. After my 10K PB run last Sunday, I fancied having a go for a good time at Leeds parkrun. I ran it pretty much as a full gas effort, the time of 18.44 was a bit slower than I hoped for, however it didn’t help that the course was very muddy and I came to a virtual standstill twice on the off road downhill section around the tennis courts. I feel it was worth an 18.30 time in better conditions and my fifth place was higher than I normally finish so I was pleased with the run. For the first time ever, I came first overall on Age Grading (76.8%) – woo-hoo! However, I have still never achieved the 80% Age grading target that Dave McGuire reckons is the mark of a proper runner. That is one of the targets for 2014, I’ve put some others at the bottom of the post. Tom Williams of marathon talk is flying with his Pfitzinger and Douglas marathon plan – he ran an 80 mile week with 19.6 miles today run at 7 minute miling – wow! that is awesome. I am nowhere near that form at the moment. We ran quite hard around the reservoirs today, averaging 7.30 miling, with a few miles chucked in at around 7 minute miling. It felt reasonably hard. I have a week’s holiday! – tomorrow I will have to rise at 3 a.m. in order to make the 7 a.m. flight to Geneva from Liverpool. I then have a long wait in Geneva because my mate Tim is not arriving until tea time – he is flying in from Heathrow. There is a train directly from Geneva airport to the City Centre that takes only 6 minutes (Swiss efficiency) and they have left luggage facilities at the airport, so I will probably drop the bag and have a mosey around Geneva on my own for much of the day. I have never been there before and I quite enjoy aimlessly exploring new cities on my own. It beats sitting in the airport watching episodes of Breaking Bad on the iPad. We are then driving to Val Thorens in the French Alps for three days of skiing. Unfortunately we can’t stay the whole week because Tim has to get back for Friday. I just checked the hotel’s website and although they have a spa and relaxation area, I don’t think they have a gym, so it looks like I won’t be able to get any running done whilst I’m away. They do offer sports massage though, I might well treat myself, even though it will probably cost a fortune. Mileage will be well down next week because of the ski holiday, but I will be back on Friday and not working, so I’ll hopefully go for a medium long run – maybe 2 laps of the reservoirs again. Saturday will be parkrun and on Sunday it is the Peco XC race 3. 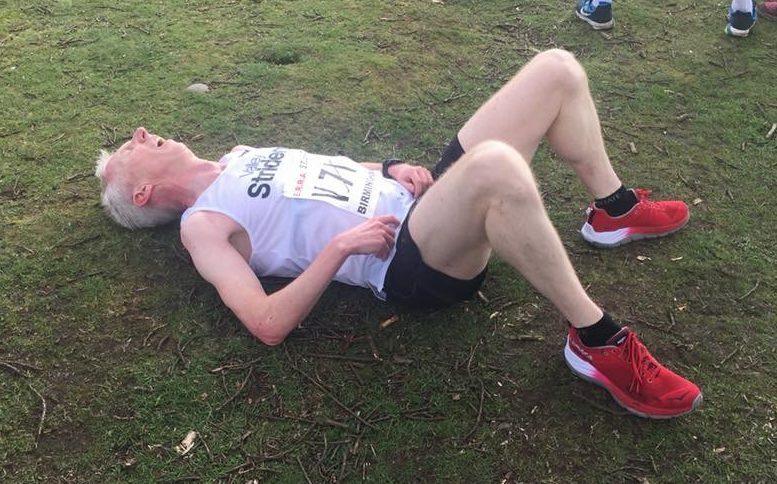 However, John from Valley Striders said today that he might miss the Peco and go for a long run instead – I could well be tempted to do that also, I’m no lover of cross country races and I’d rather focus everything on the marathon training at the moment. The following Sunday it is the Brass Monkey Half Marathon in York and I am certainly hoping to smash my rather weak half marathon PB of 1.27.39 – If conditions are anything like, I will be hoping to run comfortably under 1.25. 5K/parkrun – sub 17:50 – this will probably have to be attempted on a fast course like York or at the Doncaster City Centre 5K in July. 10K – sub 37 minutes – my next attempt will be at Dewsbury on February 2nd. Other targets – achieve 80%+ age grading in any race. To run some track races, certainly the Leeds Golden Mile in September and to go sub 5.10. I’ve run 5.13 and 5.17 there previously. I’d love to run a sub 5 minute mile one day. If I am fit going into the summer I will train specifically for the mile for 8 weeks to see how fast I can go.